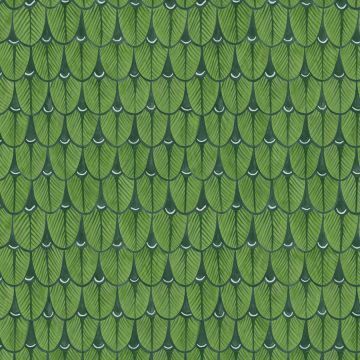 An intriguing wallpaper featuring the stylised feathers of the South African Narina Trogan Bird, cleverly depicted as a geometric design, shown with a subtle watercolour effect in green. This wallpaper can also be hung upside down for an equally striking effect. We aim to deliver your item in 2-3 working days to a Standard UK address. For delivery to Europe please allow 5-7 working days. This item is only available for delivery within the UK & EU. 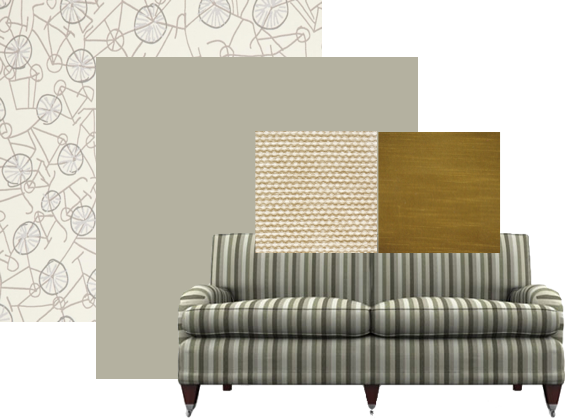 Alternatively, fabrics can be used for our made-to-measure service & these items can be delivered worldwide.